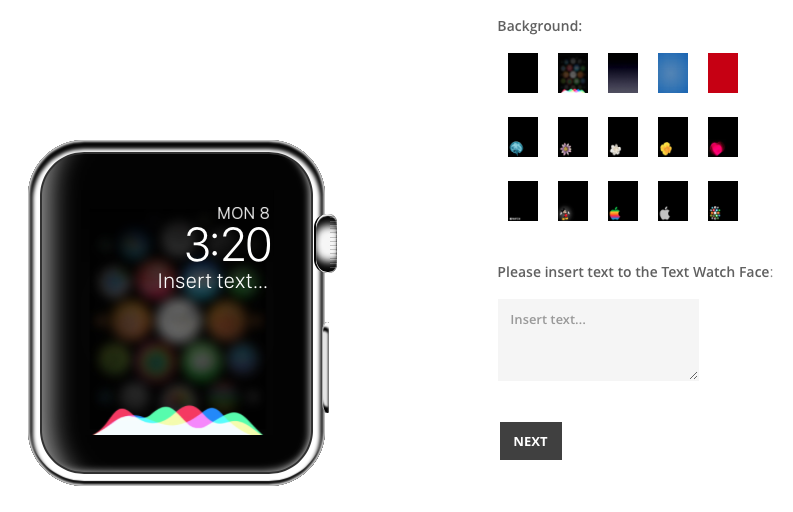 Applewatchcustomfaces.com website allows you to go to create real Watch Faces starting with backgrounds already pre-loaded. But now now can choose to compose your own by adding text simply by typing it in the space provided and with a choosen background. There are backgrounds with jellyfish, mickey mouse, flowers, siri, apple logo, and more.